In performances of such freshness, verve and chamber transparency, the concept works...You’d go far to find performances of the Haydn concertos that match Alisa Weilerstein’s mix of stylistic sensitivity, verve and spontaneous delight in discovery...for a performance [of the Schoenberg] that combines chamber-musical intimacy, transparency of detail and urgent human expressiveness, you won’t do better than this. What an intriguing, captivating sound they make: delicate one moment and then pleasingly robust the next…There's a gutsiness that is echoed by Weilerstein herself as she digs in most enjoyably to the many semiquavers and triplets of the first movement of the Haydn D major concerto…[The Schoenberg] is performed with one mind, exquisitely precise in terms of ensemble but with an expressive freedom that actually made me think at times that I was listening to the chamber music version! 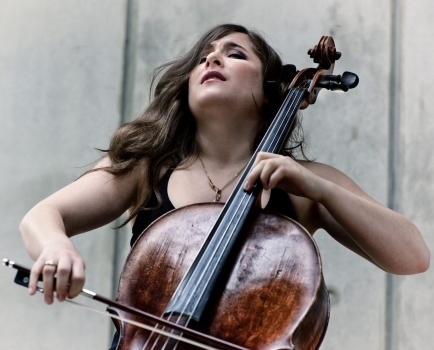 [Weilerstein] gives us an immediate demonstration of her powers as the soloist in two Haydn cello concertos, music of an earlier Viennese age, although delivered with such volatile passion and flying fingers that no trace of dust remains...Yet this truly is a group triumph. In the singing lines of this hypnotic work [Verklärte Nacht], the Trondheim ensemble manage the wonderful feat of being throbbingly intense and meticulously exact at the same time, and this performance knocked me flat.